St Osyth has good bus transport links to Clacton and Colchester operated by Hedingham Omnibus and First Essex. Hedingham Omnibus operates the No 6 bus route from Clacton to Point Clear which runs every 30 minutes during Monday to Saturday daytimes and hourly on Sundays. The Monday to Saturday evening service will continue to be provided by the 6A and 6B service. 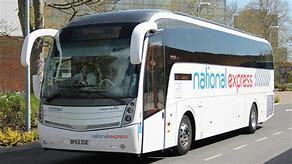 For full timetable click http://www.travelineeastanglia.co.uk/ea/XSLT_SELTT_REQUEST. With effect from 25th February 2019, the Go Ride bus service from Clacton/Brightlingsea via St Osyth will be taken over by Hedingham and will operate as Route 7. 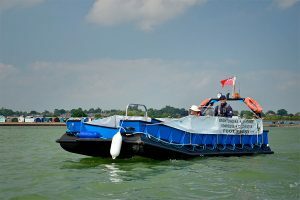 Brightlingsea Foot Ferry Service runs from Point Clear to Brightlingsea and Mersea Island either on an hourly scheduled service or a dial-up service from 10.00 am to 16.00 pm. Starting April 1st. To book the ferry call 07981 450169 or out side scheduled service the Harbour office on 01206 302200.